Here's a treat for some travelers out there that wants an extraordinary adventure. In the town of Badian in Cebu, awaits this adventure. Canyoneering or Canyoning is the term used for traveling in canyons using a variety of techniques that may include other outdoor activities such as walking, scrambling, climbing, jumping, rappelling, and swimming. (as Wikipedia said). Badian is around 98 KM from Cebu City which is around a 3-hour drive. It is the next town to Moalboal and before Alegria. 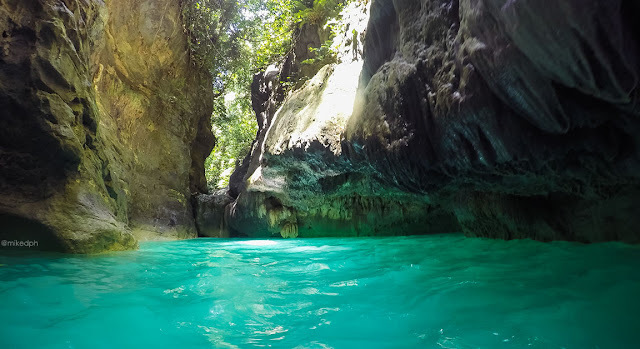 Aside from the canyoneering activity and Kawasan Falls, another attraction here its beautiful white-sand beaches like Badian Island and the unspoiled Lambug Beach. From there, you can contact your tour provider to pick you up. Earliest trip for a non-AC bus is at 2 am, while 5 am for AC buses. There are a lot of tour providers and guides that can be found online. I inquired to some of them and offered almost the same price range. 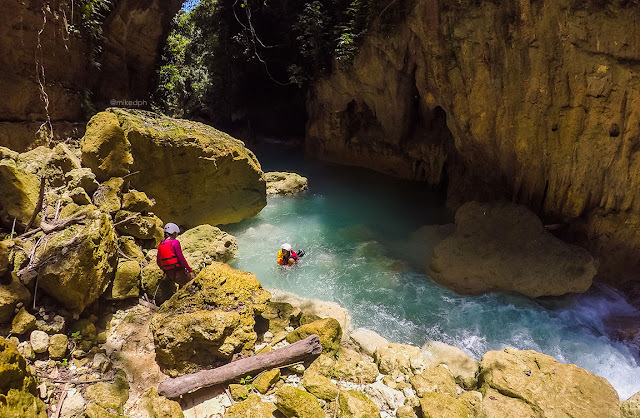 The canyoneering activity usually cost PhP 1500.00 per person that includes the tour guide, safety gears like life vests and helmets (some with aqua shoes), snacks (some with lunch and dinner) and transportation to and from the jump off point. We got Highland Adventures PH for our tour guide. If you are looking for a cheaper tour guide, you can also ask around the actual area. A local asked me where did I get our tour guide and I answered online, and he said that some freelance tour guide offers around PhP 1300.00 and up. Here's some tour provider you can contact. DO wear life vests regardless of how good you swim, and helmets all the time. DO wear proper footwear like trekking shoes or aqua shoes. DO always listen and follow your tour guide. DO hydrate before the activity or bring a drinkable water. DO NOT jump anywhere you feel to, ask your tour guide first. DO NOT throw trash anywhere, just put it in your pocket, please. 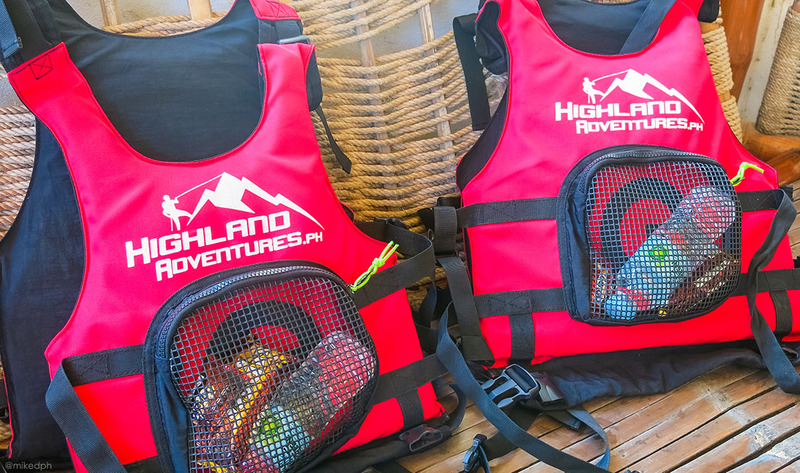 Be sure to check out HULL & STERN's site and Facebook Page for their awesome and reliable dry bags before your trip! 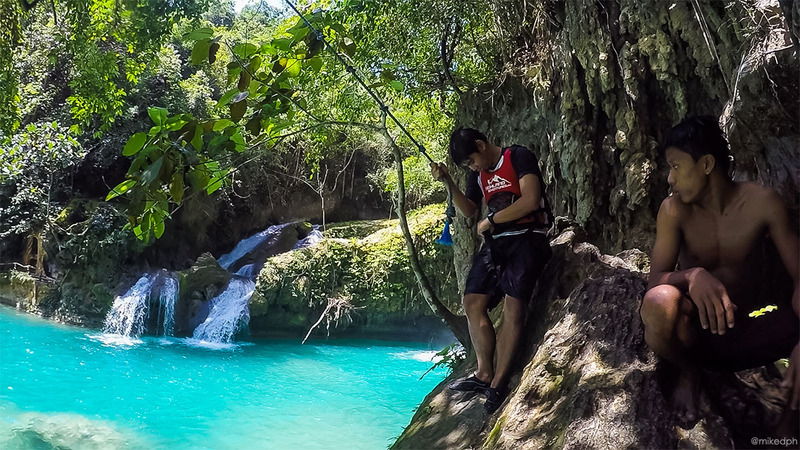 As of June 01, 2016, Kanlaob River, the canyoneering site in Barangay Compostela in Alegria and Barangay Matutinao in Badian IS TEMPORARILY CLOSED up to August 1, 2016. The alternative to Kanlaob River, Cancalapi River is also currently closed. 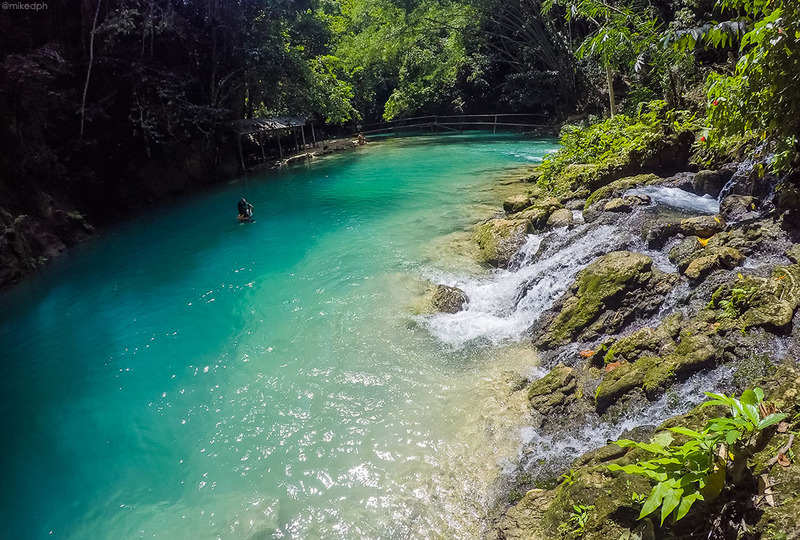 The only option you could do now is an upstream hike from the third level of Kawasan Falls up to Kabukalan river. 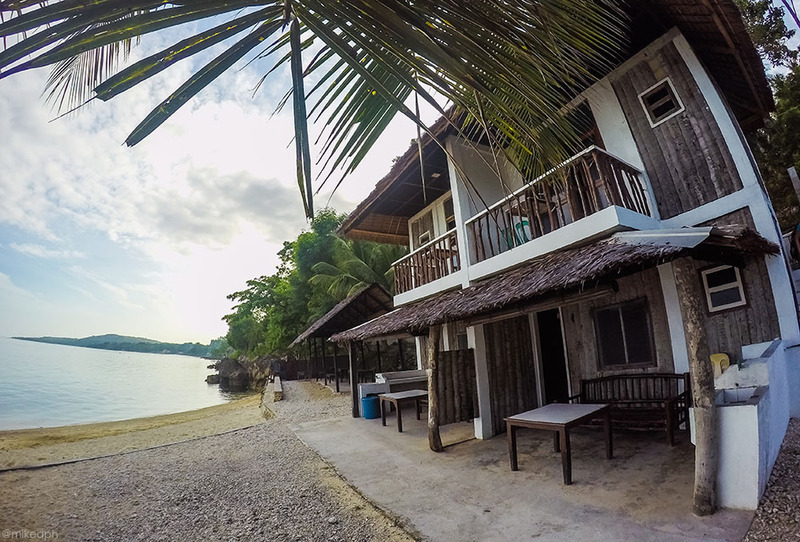 There are a lot of beach resorts in Badian where you can stay. 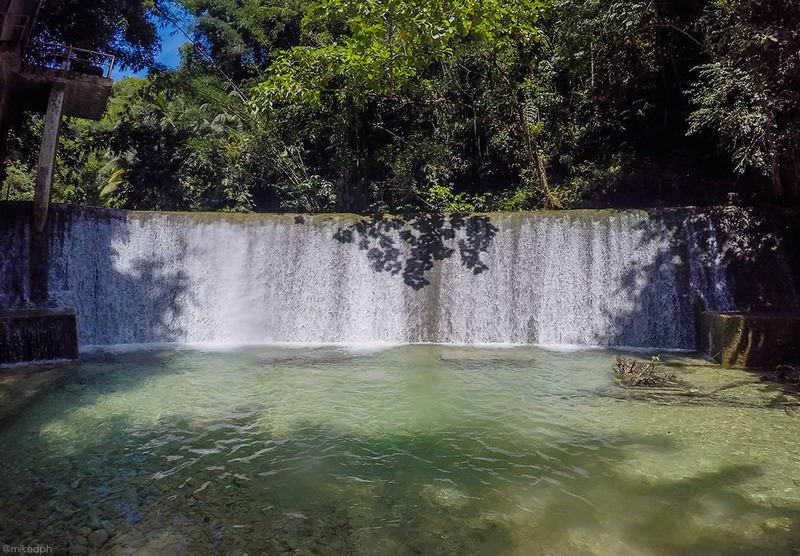 There are also rooms in the Kawasan Falls vicinity. We originally planned to stay in Badian for just a day, but since our phones (yes, all our phones) also swam in the river, we had no way to contact some resorts or accommodation in Moalboal, hence we stayed in Badian. 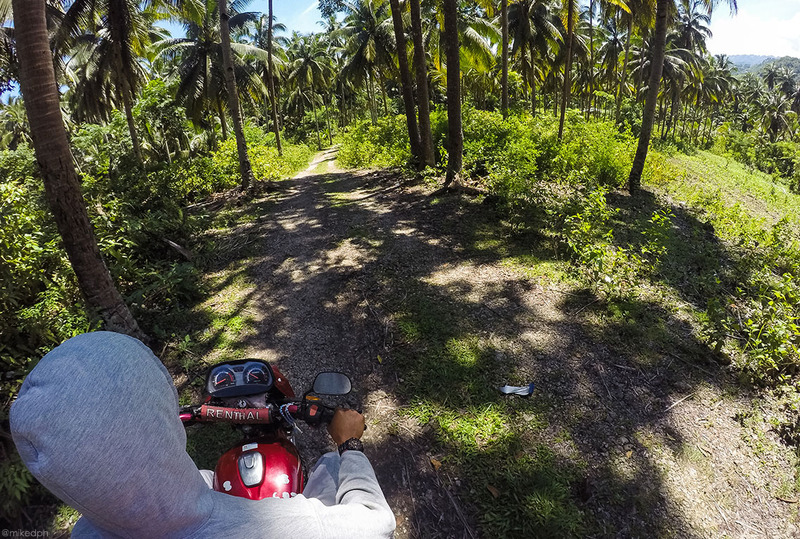 We stayed in La Playa Resort where we also got picked up by our tour guide. Their fan room costs PhP 1200 good for 2. The owner, a very kind old lady that only speaks English and Bisaya (too bad I forgot her name) gave us the room for PhP 500.00 only since we will leave early morning. Here's the contact number of La Playa +63 932 475-1194 or +63 927 808-0972. You can also leave your baggage there for PhP 50.00. The whole activity will take around 3 hours but can take 4 hours for a bigger group. You can choose between downstream canyoneering which is from Kanlaob River in Algeria to Kawasan Falls or upstream canyoneering, Kawasan Falls to Kanlaob River. If you are a beginner, I suggest downstream first since upstream is pretty difficult. 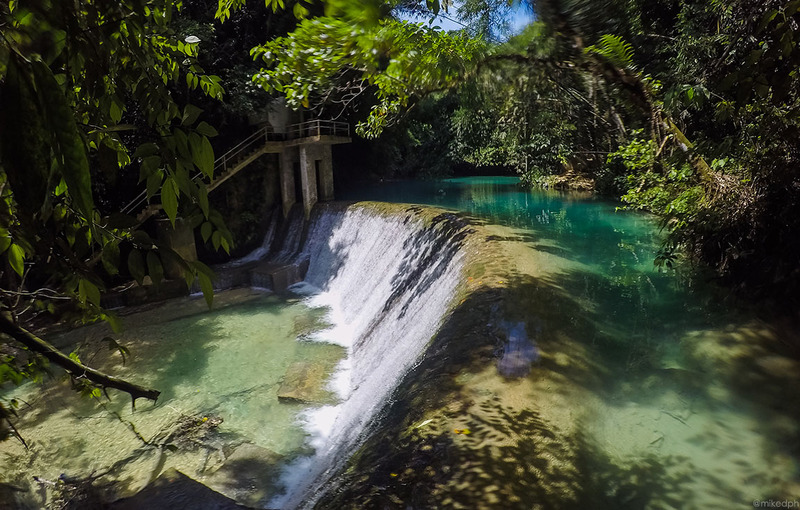 In downstream, you'll be jumping, swimming and walking while in upstream, replace that jump with a climb. 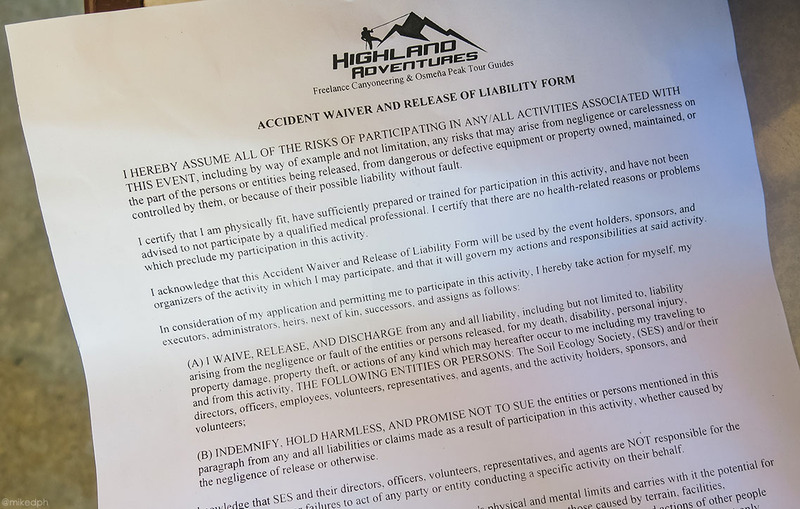 We started the activity by signing a waiver and putting on our safety gears. Then we ride a motorcycle ("habal-habal") to the registration area in the town of Algeria. After the registration, you will walk to Kanlaob river. 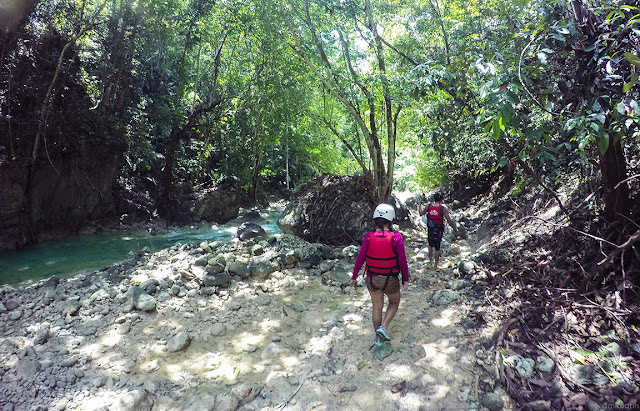 When you reach the river, you will be rappelling down to a cliff, then comes the exciting part. You'll have to jump into the river. The water in the river is very blue and have a normal temperature. Not so cold, and not so warm. Mostly you'll be in the water either swimming, floating or walking. 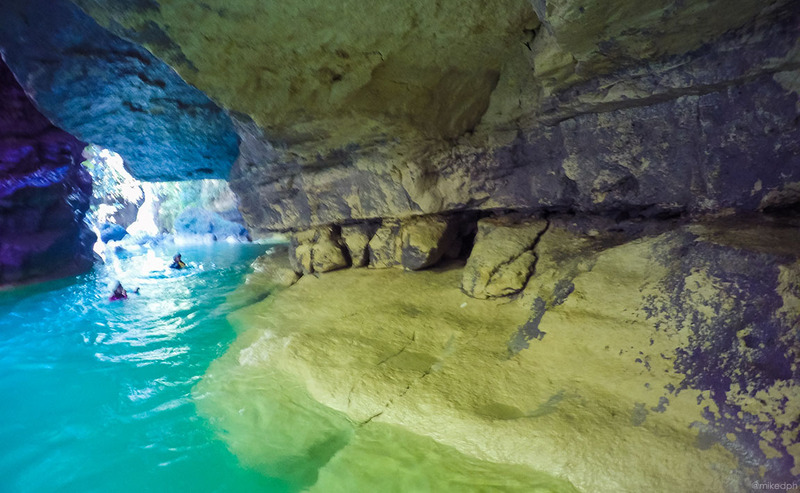 Some parts of the river are deep and some are rocky so you better swim carefully. 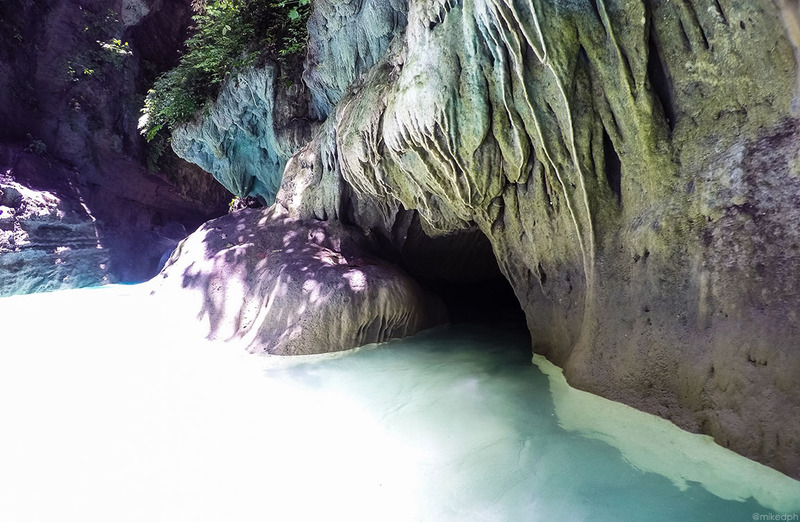 There are amazing rock formations and small caves. Wherever you look around is just beautiful, that you just want to take pictures every time. 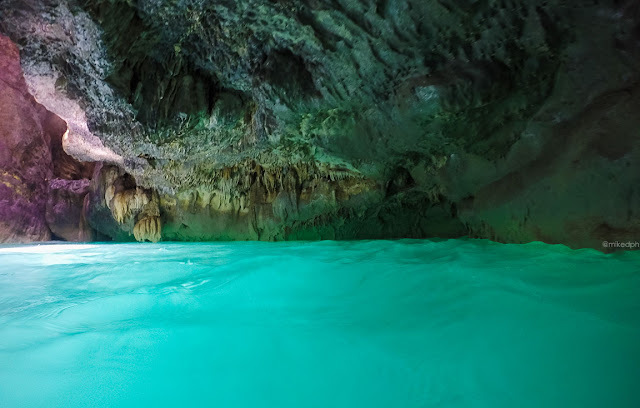 There are also small caves that you'll pass through. You can play with the streaming waters or relax for a bit. The water current from the portion where the river is covered by the huge rock is strong, that our dry bag got water inside. That is the part our phones and other gadgets got wet. So I really suggest not to bring any gadgets except waterproof ones. After traversing the river and jumping from some waterfalls, you'll be hiking through a forest until you reach the third level of Kawasan Falls. The third level of Kawasan Falls is the smallest. There is a part where spring water comes out from the mountain which you can actually drink according to our tour guide. Just near the third level is a man-made dam. 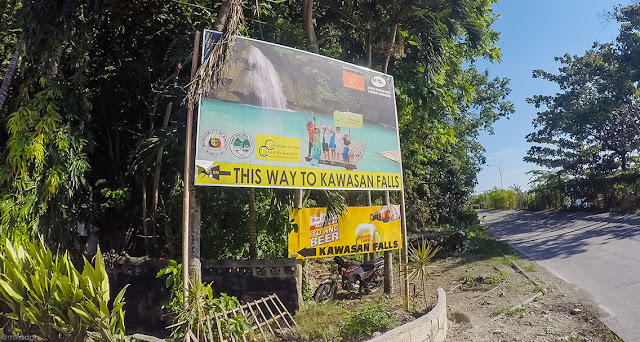 Just a short walk again is the second level of Kawasan Falls which is so much bigger than the previous. This is also where the eateries and rooms for an overnight stay, are located. When we reach the second level, we immediately put our soaked gadgets in a bucket of rice and we had our lunch. Rooms and tables in the second level. The place is so beautiful I almost forgot that our phones are in a bucket of rice and went jumping from the waterfalls and playing in the swing. Just a short walk again is the first level of Kawasan Falls. It is the biggest level. There are also eateries and rooms in this area. There's also cottages and raft for rent as well as life vests. 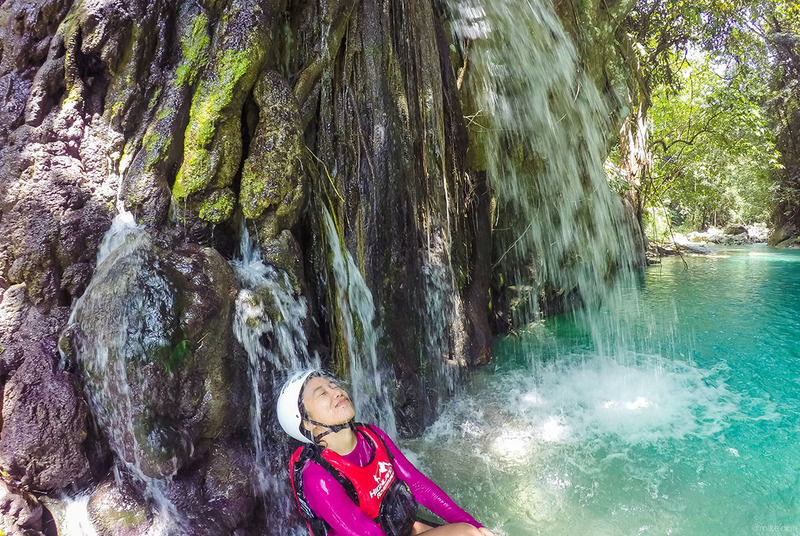 It's a definitely a must try adventure in Southern Cebu. 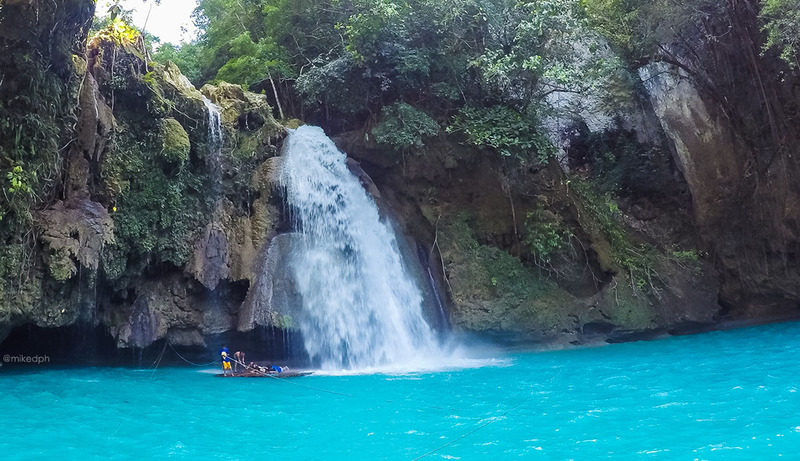 So be sure to include this to your list when traveling to Cebu. I'm sure that I'll be back and try out the upstream canyoneering. It's a worth it experience! nice blog mike!!! did you use go pro all throughout your still and video shots? Thank you Jodegs! For the video yes, for the photos most of it are shot using GoPro since my other camera got soaked in this activity LOL! 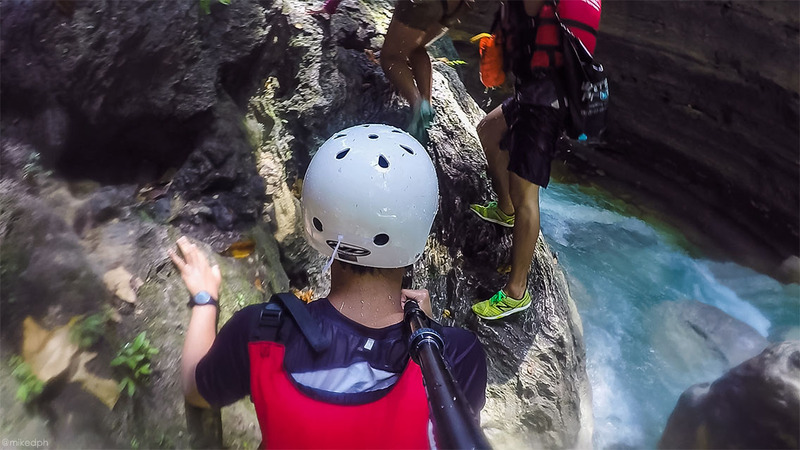 We got the canyoneering + Osmeña Peak tour P1500 per person. For the whale sharks in Oslob, I think it's all year round. 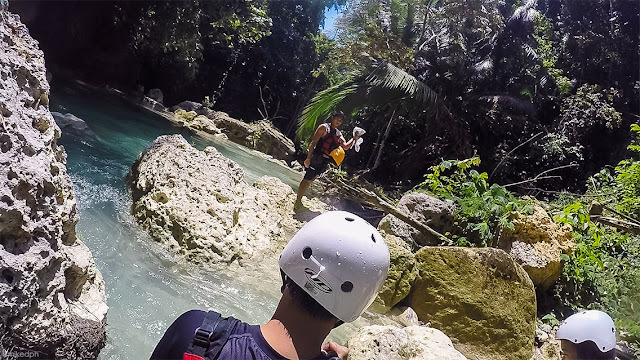 is it ok to ask for your contacts or where you got the Canyoneering + Osmena Peak (for 1500) package? I would love to do that anytime this month or may. Hi Sir, Nice article! 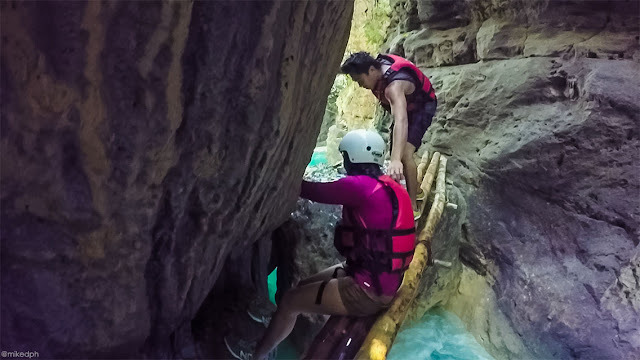 Meron po ba kayo contact para sa canyoneering? Thank you. Mike, my friend is afraid to jump in one of the passageways. is there any way to get around by not jumping? In some parts of the river, you'll definitely need to jump since there is no other way down. Maybe you could ask your tour guide if they can use a rope to rappel your friend down. Thank you for your blog, is very nice. Do you happen to know kung what time ang last trip going out of Cebu to any point South? Hi Mark, I think the last trip of Ceres Buses is around 7 or 8pm. Hi mike. What time did they pick you up at your accomodation and what time have you finished the canyoneering? Hi Aj, We arrived at Badian around 9 am. We started around 9:30am and finished around 1pm. Do we need to have a reservation for canyoneering? pwede po ba walk in lang? Thank you, first time namin ito, so we thought of DIY or package stuff. Hello po! 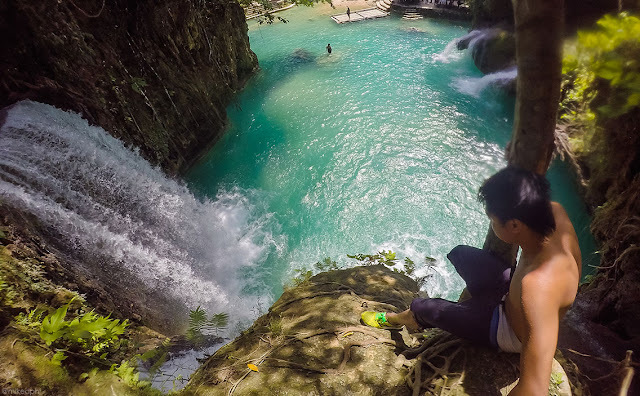 Kaya po ba ng isang araw ang canyoneering + Osmena peak tour? 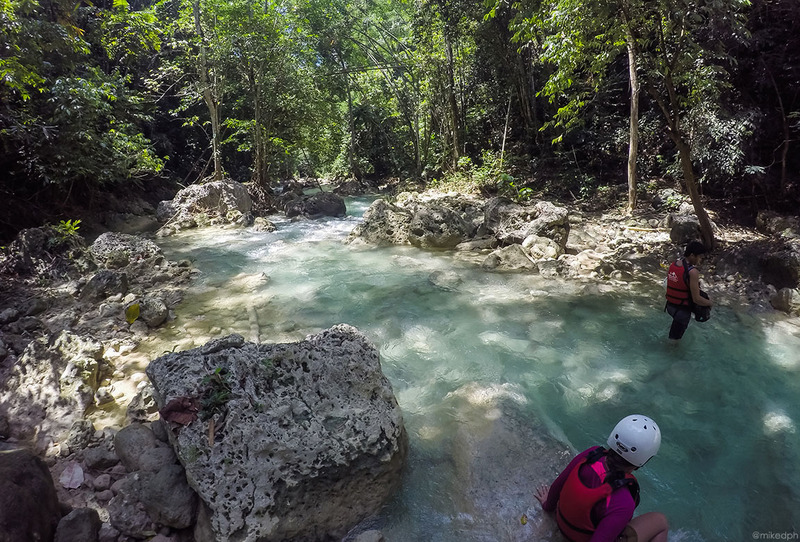 and during canyoneering, san po pwede mag iwan ng gamit. thank you. 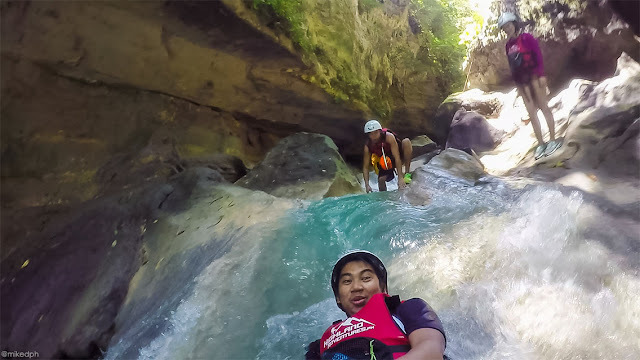 Yup, canyoneering is around 3-4 hours only so you could go to Osmeña Peak after. There are resorts in Badian where you can leave your stuff. In La Playa Resort, locker fee is around PhP 50-100 (sorry, I forgot the exact amount). 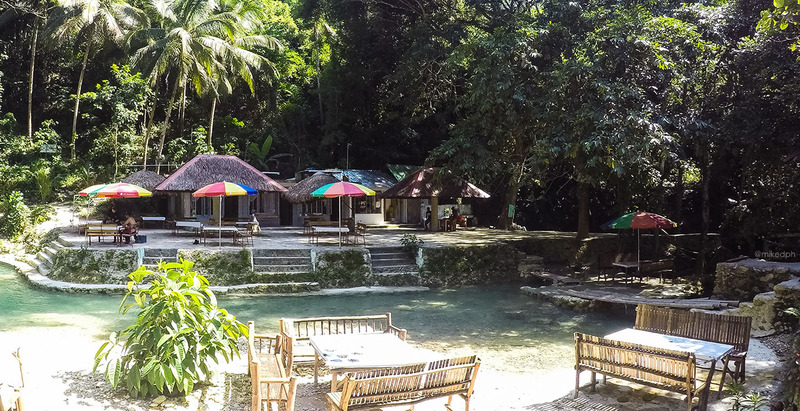 Bkit po hindi nlng kau ngstay sa isang resort? Hi Yhna, our original plan kasi is, after the canyoneering we'll head to Moalboal and doon na magstay for the night since we'll be diving the next day. Hi Mike, this is really a great help! By the way, initial plan kasi namin is manggaling ng Oslob for the whaleshark watching. Possible ba na after sa Oslob dumiretso sa Badian? Pwede po ba humingi ng details, like ano ang sasakyan, how much, travel time etc.? Thank you sa help! Wow great! Thanks a lot for your help! Hi Ron, it's okay if you don't know how to swim since meron namang life vest, pag ka talon mo sure na lulutang ka agad hehe. The guides will also be there to assist you so don't have to worry. Don't be scared, after the first jump, gu-gustohin mo ulit na tumalon pa LOL! Great! I'm relieved to hear that! HAHAHA! Hi! Do you have an idea if there's an available ceres/bus in Toledo to go to Badian? Hi Precious, based here: http://www.cebu.gov.ph/cebu-south-bus-terminal-bus-schedules/ there are Ceres buses in Toledo, I'm just not sure if their route is going south or just in Cebu City. We will visit Cebu in this June. Should I connect Highland Adventures and make the reservation now? Thank you a lot! Yup, you can have reservation now, but they do also accept reservations within a week before your travel. Thank you for your blog! I enjoyed reading it. I saw one comment about not knowing how to swim and you said it's still ok to go for it.i read in one article though it's a requirement to know how to swim (forgot the website though). Are the tour guides or the agency you signed up for the package require or mentioned it? Hi mike. Pag dalawa lang po ba kami sa canyoneering 1,500 padin po ba each? Thanks po. Hi, can you explain more about the osmena peak tour? 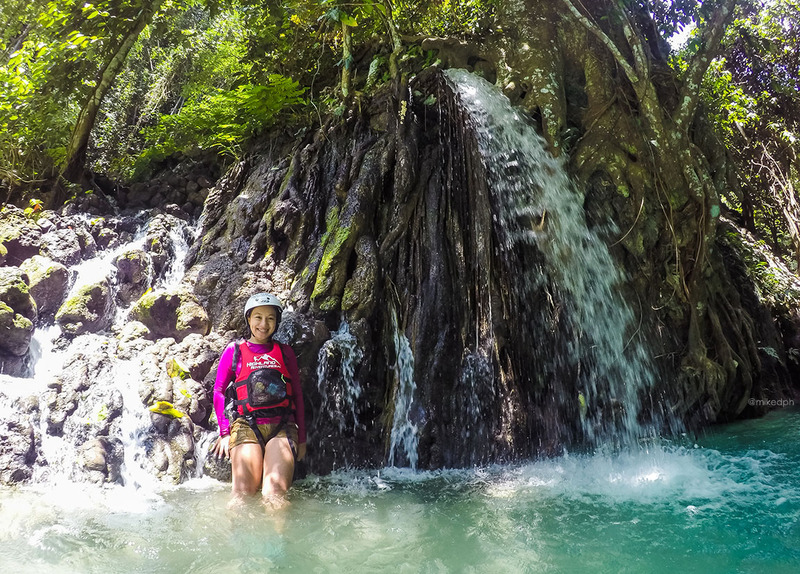 or maybe can u explain the intinerary for the canyoneering + osmena peak tour? i really wanna do both. planning to stay in cebu city and catch the bus to badian. From your post i know how to get there already but how about the way back to cebu city if i do not plan to stay there for the night. Will there be a bus back to cebu city in the evening? 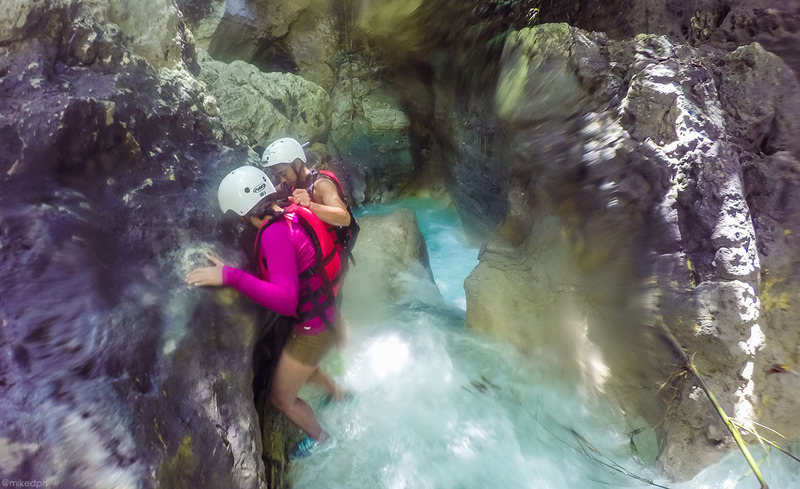 Hi Zii, the canyoneering is usually first on the itinerary. It starts around 7-8am and then will be finished around 11 am or 12 noon. Then followed by the Osmeña Peak. In our case we left Badian past 2 pm and arrived at Osmeña Peak around 3-4 pm. We waited for the sunset so we got back around 7 pm in Badian. For the bus back to the city, yes there are and you can just catch one on the highway. Thank you :) I think it would be best if separate day mo na lang yung Oslob, since Badian to Oslob is around 2-3 hours. but if you went very early for the whale shark, I think it is still possible considering you would leave Oslob at exactly 6 am. Hi, I'm not sure about the rates today since niregulate na nila pero if mag isa ka lang I think its around 1500 ++. 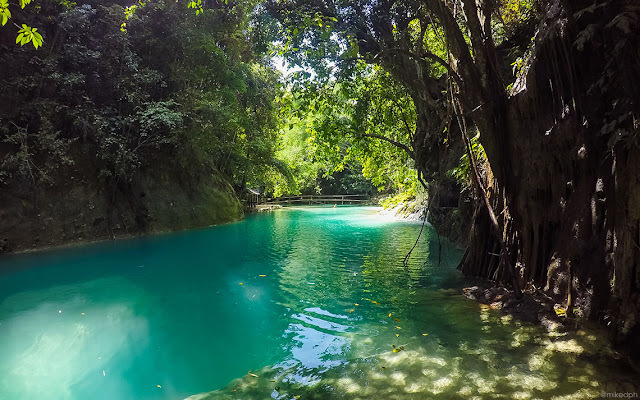 Nice blog �� Me and my friends are visiting Cebu next month , just wanna ask how long would it take to explore kawasan falls ? Great blog, Mike! Just wondering, is there any way to reach Kawasan Falls without intense physical activities? I like to bring my old parents there eh. Hi Ian, yes you could go directly to the third level of Kawasan Falls. Just a short walk from the main road, and they could also ride a tricycle. 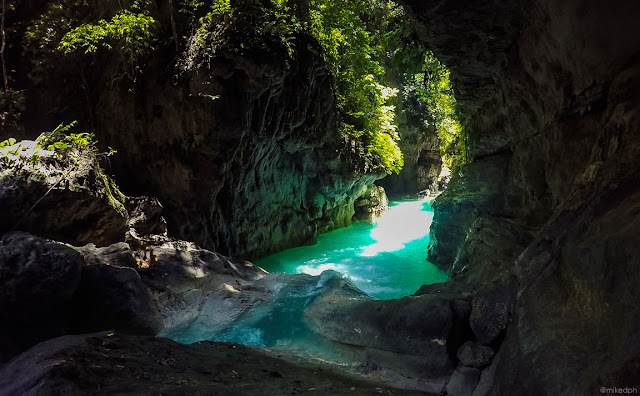 Hi Mike, Do you think that the kids (10 and 12 years old) will be able to to do the downstream canyoneering (if they open again)? Hi Jesper, I think they are a little too young for the activity. There are certain areas that you really need to jump and even some adults are terrified in these jumps LOL! And it might be a little dangerous for small kids to cross strong streams. Hi, mas okay unahin yung whale shark para hindi pa masyado mainit at most active sila I believe in the morning. My plan is for Day 1 is to just explore the city. I was planning in staying at Cebu city but now i think that's too much time travelling and less exploring. 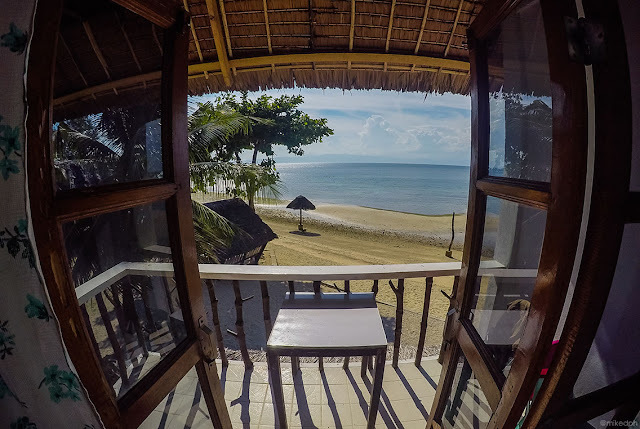 Would you recommend spending the night in either Oslob or Badian? How would you arrange my itinerary? Any recommendations on what to check in Cebu City? Love this blog sir. It's detailed and you answered all querries so mine was answered already. We will be in Cebu next month. 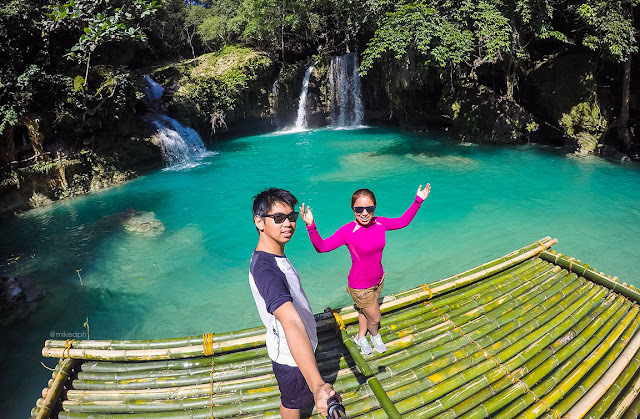 We plan Oslob,kawasan falls and Osmeña Peak in one day. 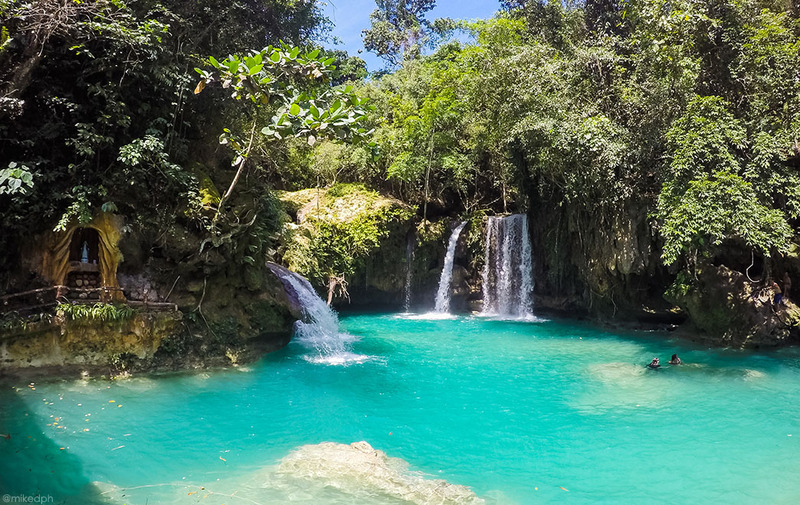 Then Mantayupan falls next day. Is this a good idea? 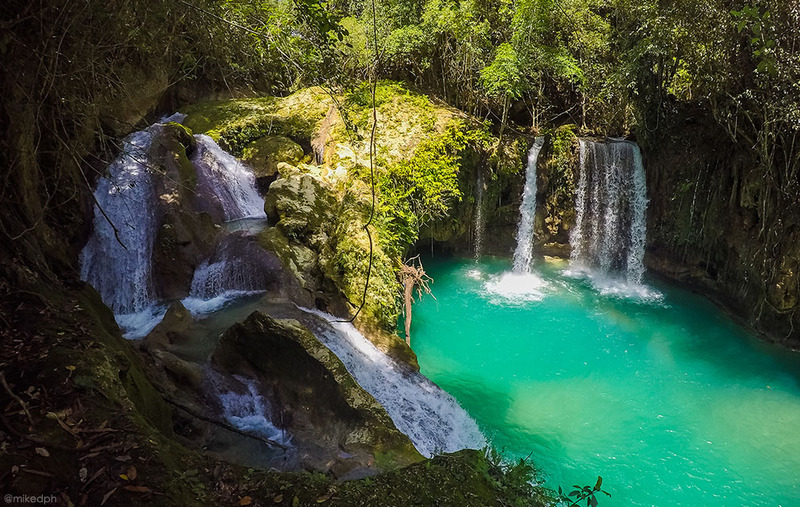 Any suggestions for we want to chase the waterfalls in 2 days. Hi Tita Tina, You can book early by contacting some of the tour guides I mentioned above. For the children, I'm not sure if children can go canyoneering since there are a lot of jumping, climbing that might not be very safe for children. If they won't go canyoneering, they could just see Kawasan Falls and then ride a the bamboo raft. 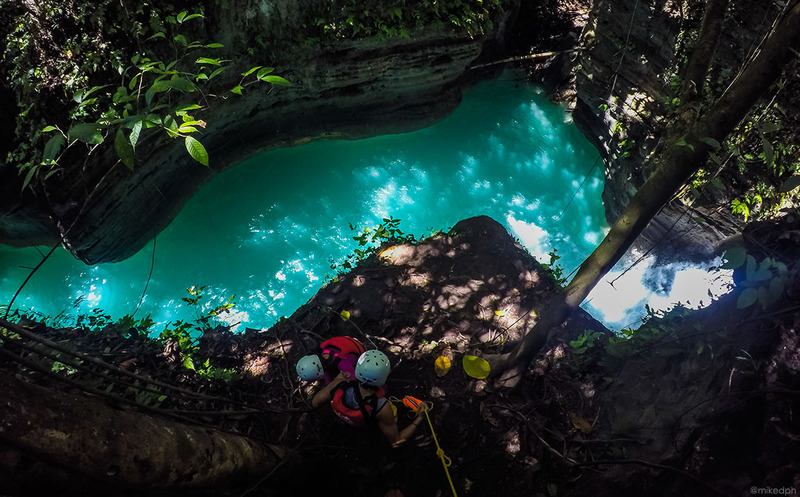 The canyoneering activity is around 4 hours, it doesn't require that you know how to swim, but, it is really physically challenging. sir possible ba na magawa ang whaleshark watching in Oslob and Canyoneering in one 1 day in case na 7AM ang dating namen sa MActan airport,? Hi Raymond, I think that's a bit too late na. 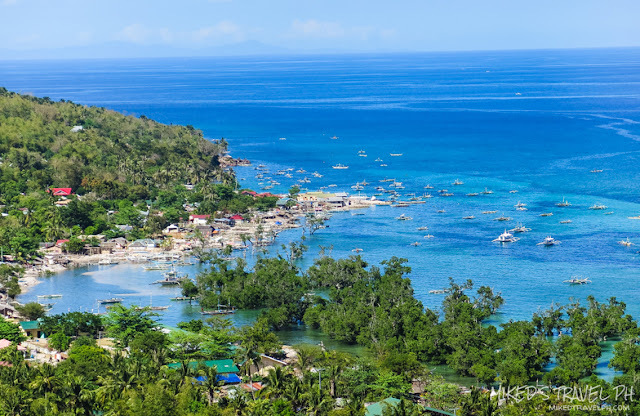 Oslob is 3-4 hours away from Cebu, so mga 10-11 AM na ang dating niyo sa Oslob. Let's say you will be leaving Oslob around 1-2 PM, another 2 hours from Oslob to Badian, so 3-4 ang dating niyo doon. So maybe just do Oslob the next day na lang. Hello! 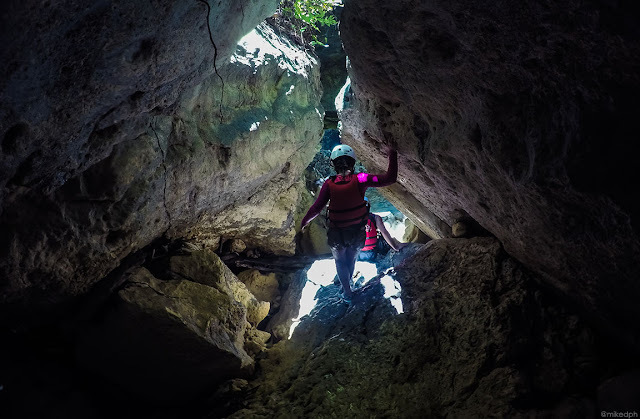 Possible ba ang Canyoneering and Osmena Peak in one day? considering na nanggaling pa kami ng cebu then balik kami after the said activities? Hi, i want to go from cebu to kawasan by bus around 6pm then i will sleep close to the sea in some hostel. 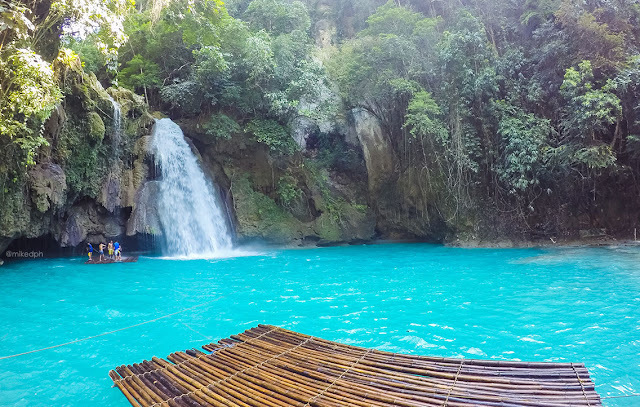 Then i want to go to kawasan falls and pass the morning there. 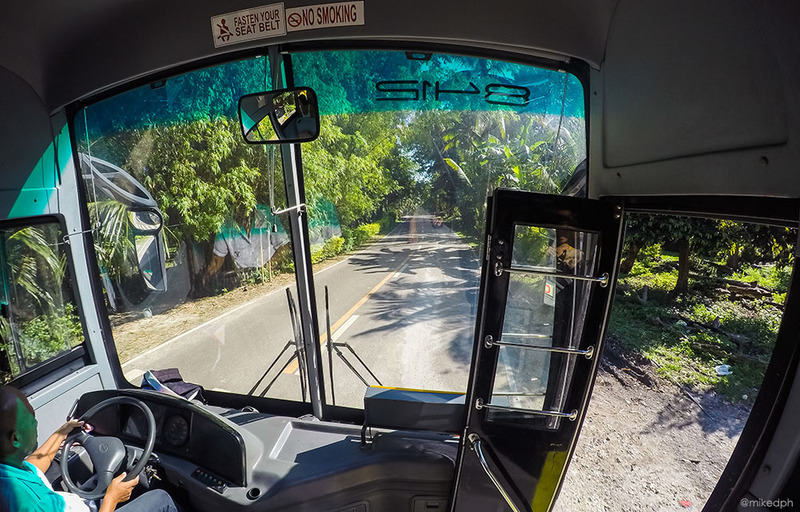 After that i want to go to dumaguete, how do i get a bus from kawasan falls road to dumaguete? Hi sir mike. May byahe po ba directly from oslob or badian going to bohol? Were planning kasi mag bohol din. 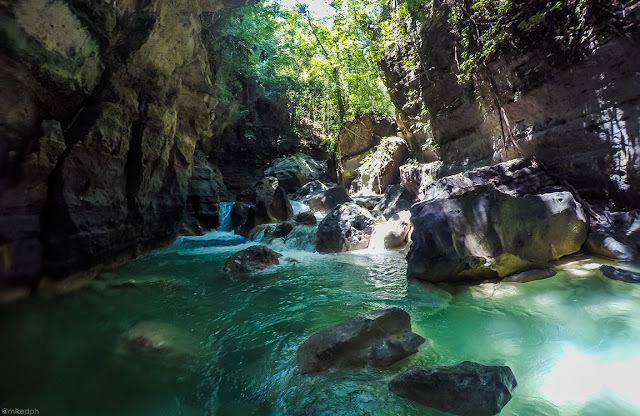 Hi i have a flight going to bohol but im planning to make side trip to cebu to do canyoneering and whleshark watching, and to visit sumilon beach as well. is it possible to it overnight? Hi! Thank You for sharing your experience and knowledge about Cebu this is very helpful! more power to you ! and more adventures to come! Hi Mike! 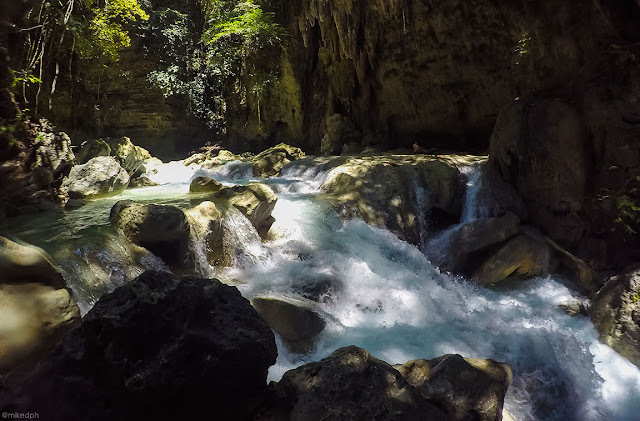 Possible kaya na Whale watching muna ako tapos tumalog falls then badian canyoneering afterwards? hindi kaya magiging tight ang oras? thanks need ko lang talaga advice sa ngayon. Hi Brian, yup, good yan, basta start early sa whale shark, mga 6 am dapat and pwede ka lang din mag walk-in. 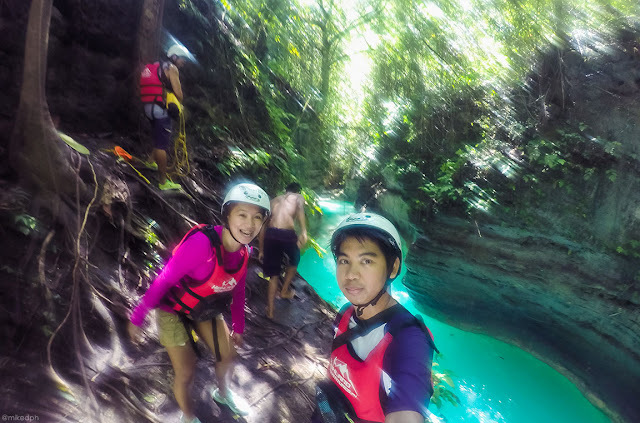 For the canyoneering, I suggest pa reserve kana since afternoon na ang schedule mo doon. Hi Alex, they have standard rates na for it. So probably the same rates as posted above. Yung mga freelance tours maybe they can give you a discount. Hi mike! I so love your blog..very informative! Me and my friend are planning to go there on july. Possible kaya na mahabol namin flight pauwi ng davao at night? HI! Do you know any go pro rentals in cebu? Hi sir, was wondering if the rate of 1300 that you said sa mga freelance ay included na free lunch and osmena peak? I was quoted for a canyoneering kasi of 1300 however when I asked if included na yung osmena peak he said that additional 500 daw. So the total price would be 1800 each and I asked for a discount and he said that 1700 yung last price. I have been noting kasi sa mga blogs na normally 1500 talaga yung cost. So I am not sure if they are charging too much sa 1700 (canyoneering and osmena peak). Thank you! 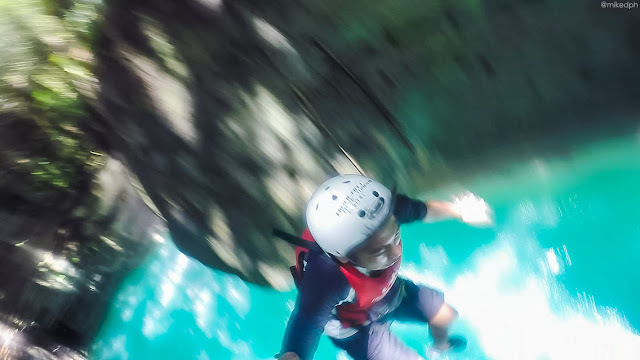 We're planning to really try Canyoneering. Hopefully, we'll be able to do it. Thanks for this blog. It's just so good to read. $20 pax 2 vented oven lid 2.0 comes with free foldable pipe and 3d screen and pusher! Can I use your photos to our blog and add a link to ur blog for Credit?